Whether you want to have them or not, there's no denying that kids are cute. Seeing a little human waddle around as they discover the world through their uncorrupted lens will turn anyone's day around. 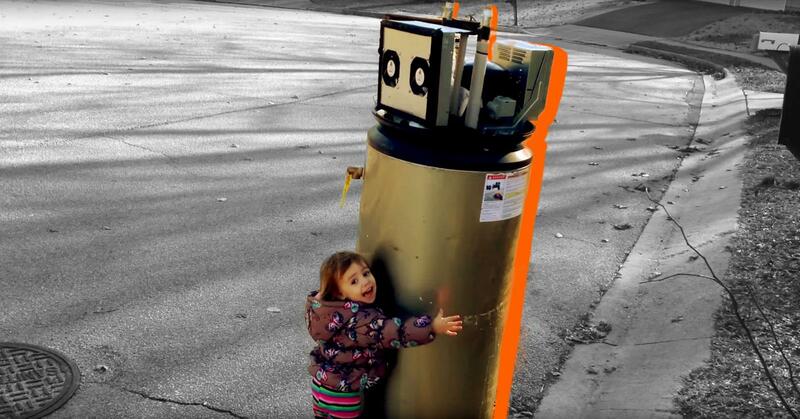 Reddit user shadeogreen took a video of daughter and current Internet day brightener Rayna as she met her first "robot" while they were out and about. This is the cutest thing you'll see today. The video was posted to YouTube and shared on Reddit, where it became an instant hit and rose to the top of YouTube's trending chart in less than a day. People were clearly obsessed with the video. Comment from discussion WOT_IF_UR_LEGS's comment from discussion "My daughter meets a "robot"". Comment from discussion -Badger2-'s comment from discussion "My daughter meets a "robot"". Comment from discussion LaterGatorPlayer's comment from discussion "My daughter meets a "robot"". Maybe it was a robot. Comment from discussion FandingoDango's comment from discussion "My daughter meets a "robot"". YouTube commenters also went gaga over the video, which has since racked up nearly 3 million views. "If a robot revolution is close to fruition, this just may become the video that saves humankind," one person wrote. Another added, "It's curious how children let their imagination[s] fly. I bet most adults passing through there wouldn't relate that shape with a robot... We should learn more from children. Someone even created a little Rayna fan fiction: "When mankind is forced to live underground after robots rule the world, Rayna sneaks up to the outside world to tell robots she loves them. Little did she know those robots who she shared her love with started a revolution and ended up saving humanity. She is known to the robots as Motherboard Rayna.﻿"
As for what she does next, one individual suggested that she hop "down the sewer hole like a Toddler Mutant Ninja Turtle.﻿"
Now we just have to wait for Pixar to stop making Cars sequels and make this their next short. Who's with me?